Terrance Hayes is the author of Lighthead, winner of the 2010 National Book Award and finalist for the National Book Critics Circle Award. His other books are Wind in a Box, Hip Logic, and Muscular Music. His honors include a Whiting Writers Award, a National Endowment for the Arts Fellowship, a United States Artists Zell Fellowship, and a Guggenheim Fellowship. How To Be Drawn, his new collection of poems, is forthcoming from Penguin in 2015. Hayes was born in Columbia, South Carolina in 1971, and educated at Coker College where he studied painting and English and was an Academic All-American on the men’s basketball team. After receiving his MFA from the University of Pittsburgh in 1997, he taught in southern Japan, Columbus, Ohio, and New Orleans, Louisiana. Hayes returned to Pittsburgh in 2001 and taught for twelve years at Carnegie Mellon University. He joined the faculty of the University of Pittsburgh as a full professor of English in the fall of 2013. Rebecca Lindenberg’s poems appear in the Believer, POETRY, Smartish Place, 32 Poems, Colorado Review, and elsewhere. She is the recipient of a literature grand from the MacDowell Colony and the Provincetown Fine Arts Work Center, and she holds a Ph.D. in Literature and Creative Writing from the University of Utah. Stephen Burt is Professor of English at Harvard University and author of Close calls with nonsense: Reading New Poetry. Early/Late: New and Selected Poems draws from Philip Fried's previous four collections of poetry. These highly praised books explored such themes as the tribulations of a vulnerable deity and the intersection of personal myth and historical moment. The new poems, in a section titled "The Emanation Crunch," are haunted by the current financial turmoil and possessed by the disembodied voices that multiply in our world of simulacra. Richard Hoffman is author of the poetry collections Without Paradise and Gold Star Road, winner of the 2006 Barrow Street Press Poetry Prize and the New England Poetry Club’s Sheila Motton Book Award, as well as the short-story collection Interference & Other Stories and the memoir Half the house. He teaches at Emerson College and currently serves as Chair of PEN New England. Philip Fried is a New York-based poet and editor. His poems have been widely published in journals and have appeared in many anthologies, including Salmon: A Journey in Poetry, Poetry: Poems 1981 - 2007 and Poetry After 9-11: An Anthology of New York Poets. In addition to being a poet, Fried is the founding editor of The Manhattan Review, an international poetry journal that critics have called 'excellent' and 'lively.' He collaborated with his wife, the fine-art photographer Lynn Saville, on a volume combining her nocturnal photographs with poetry from around the world: Acquainted with the Night. Terrance Hayes's book USA Noir was available from LibraryThing Early Reviewers. Terrance Hayes's book The Art of Losing was available from LibraryThing Early Reviewers. 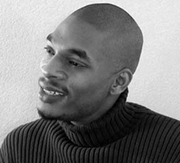 Terrance Hayes is currently considered a "single author." If one or more works are by a distinct, homonymous authors, go ahead and split the author. Terrance Hayes is composed of 3 names. You can examine and separate out names.